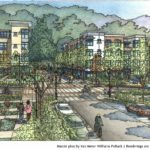 SAN FRANCISCO — A multi-year effort to revitalize public housing in San Francisco’s Visitacion Valley community has taken a major step forward. The Sunnydale HOPE SF Project developed in partnership with Mercy Housing California (MHC) and The Related Companies of California (Related California) has been selected by the U.S. Department of Housing and Urban Development as a recipient of a $300,000 Choice Neighborhoods Planning Grant. 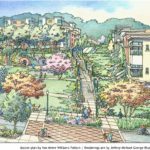 The Sunnydale HOPE SF Plan wll transform the 50-acre site into a new, mixed income community featuring 1,700 homes that will include a mix of public housing replacement, tax credit affordable rental and market-rate housing. 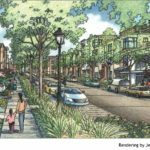 In partnership with the San Francisco Housing Authority and the City and County of San Francisco, MHC and Related California have developed a transformation plan for Sunnydale-Velasco Public Housing (Sunnydale) and its surrounding neighborhood, Visitacion Valley, that will address and reverse the community’s long-standing distress. In addition to 1,700 homes of new high-quality sustainable housing, the 1941 community will also be replaced with 6.4 acres of new parks and playgrounds, new streets, utilities, public transit, educational and recreational facilities and neighborhood serving retail. The result will be a neighborhood of choice, featuring quality housing, community education and services, green space and retail. In partnership with the San Francisco Unified School District, key city departments, residents and non-profit partners, the plan aims to support community education efforts through focusing on issues related to truancy, child care, parent engagement and college prep assisting The plan will also engage residents around key neighborhood specific health challenges such as the impact of violence on children and their families. ”If we attack the physical issues and address the human needs of the Sunnydale neighborhood simultaneously, we can catalyze permanent, positive change in the community. The Choice Neighborhoods planning grant acknowledges the value of our multi-faceted approach and is a big step toward achieving this outcome”, said Bill Witte, President of Related California. By the end of the process, the plan will include an implementation plan and timeline for the physical rebuilding of Sunnydale. This work will build on the design and financial analysis already completed and funded by the City and created with the participation of 500 residents. Mercy Housing California (MHC), the largest regional division of Mercy Housing, Inc., is a recognized leader in the development of quality, affordable housing. Our properties serve low-income families, seniors and people with special needs including the formerly homeless, people with disabilities and people living with HIV/AIDS. Mercy Housing California maintains offices in San Francisco, Sacramento and Los Angeles. Mercy Housing California’s work in Visitacion Valley includes owning and operating four properties in Visitacion Valley totaling in 432 homes. For more information please visit www.mercyhousingcalifornia.org. Related California is a fully integrated real estate firm that develops affordable and market rate multifamily and mixed-use residential properties in California. Since opening the west coast headquarters in 1989, the company has completed more than 9,200 residential homes throughout California. Related has partnered with over 20 municipalities and over 25 non-profit organizations throughout the state. The Related California portfolio includes more than $2.5 billion worth of developments. This level of activity sets the company apart from most in the industry and creates substantial purchasing and negotiating leverage, allowing Related to develop and operate assets efficiently while maintaining its standards of high quality and service. For more information about Related California, please visit www.relatedcalifornia.com.